Kelly Graf is Associate Professor of Anthropology at Texas A&M University, and she holds her degrees from Southwest Missouri State University and the University of Nevada (MA and PhD). 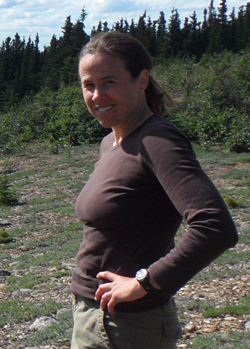 Her areas of specialization include the dispersal of modern humans in northern environments, the peopling of Northeast Asia, Beringia, and North America, Upper Paleolithic and Paleoindian archaeology, and hunter-gatherer ecology and adaptation in extreme environments (arctic and arid). Professor Graf is currently directing and co-directing several field-based and lab-based projects in Siberia, Alaska, and the Great Basin, all focusing on initial human dispersals in these regions.